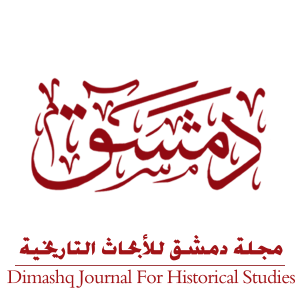 Dimashq is a peer-reviewed inter-disciplinary academic journal published online in English twice a year (January & July). It welcomes original research on Damascus in the following themes: cultural studies, economics, anthropology, architecture, gender studies, religion and minorities, music and art, film, intellectual history, and politics. Submissions need to have a short abstract explaining what their research is about and how they think it contributes to scholarly research on Damascus. Submissions will be reviewed anonymously by experts in the field and an Editorial Board. Publication is not guaranteed. Declined publications will be returned to the author. If the editors accept the submitted manuscript, they will send their edits within 6-8 weeks, which authors will have to incorporate into the original text. Authors must provide the editors with copies of letters of permission from copyright holders or from the individual or institutional owners of copyrighted material.